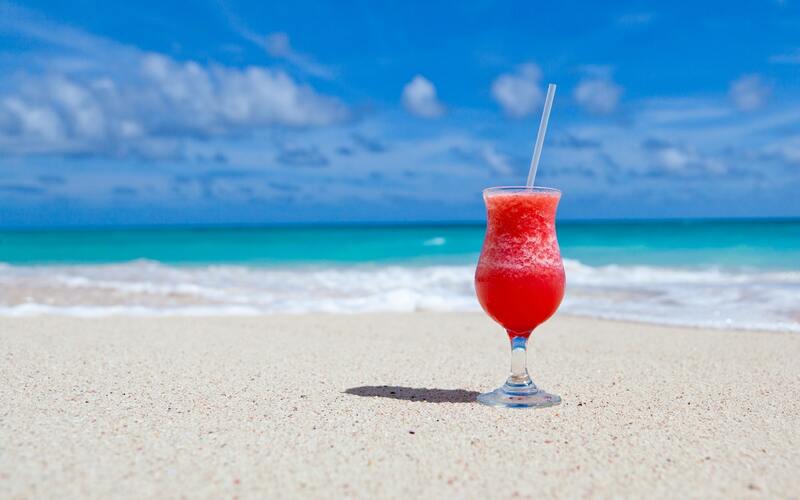 It’s helpful to unplug occasionally and ignore email while on vacation or otherwise away from your work routine. And it’s a good idea to set up a vacation auto-responder to tell correspondents what to do in your absence. 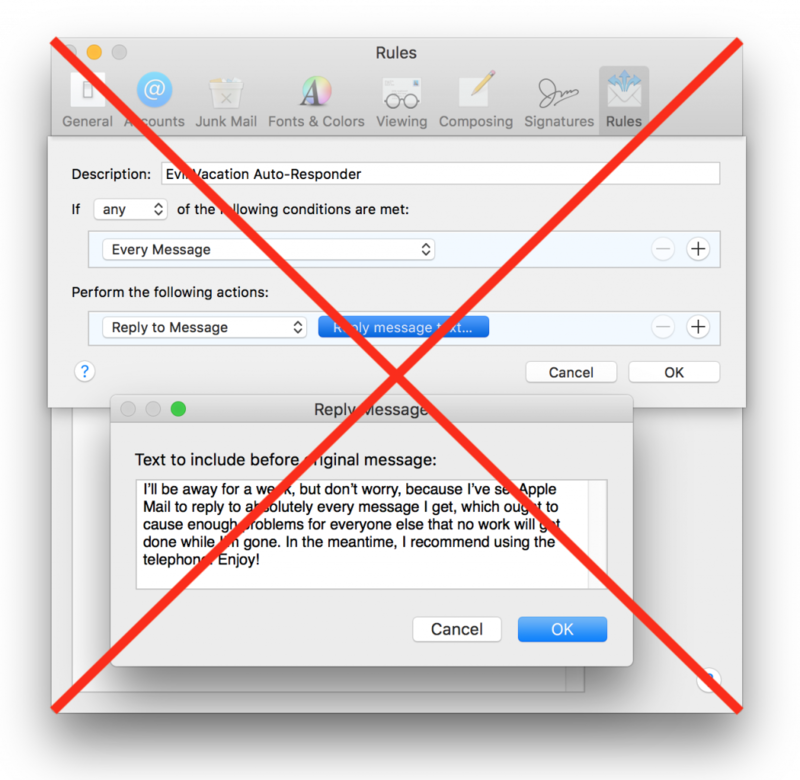 It might be tempting to create such an auto-reply with a rule in Mail on the Mac, but resist the temptation! It’s way too easy to end up sending replies to every message from a mailing list or to addresses that will themselves reply back, causing a mail loop where each message generates another reply, ad infinitum. Instead, always set up such auto-responders in the server settings for your email provider, which are better about avoiding mail loops. Here are instructions for Gmail, iCloud, Outlook.com, Spectrum, Xfinity/Comcast, and Yahoo. If you use a different email provider, the instructions will likely be similar; check with your provider for details.